The Venezuelan government Saturday rejected what it considered "unacceptable statements" by French President Emmanuel Macron indicating support for increased European Union sanctions against Venezuela. Macron's comments were "a hostile and unfriendly act by a leader of a nation with which Venezuela has cultivated historical and brotherly ties," a Venezuelan foreign ministry statement read. 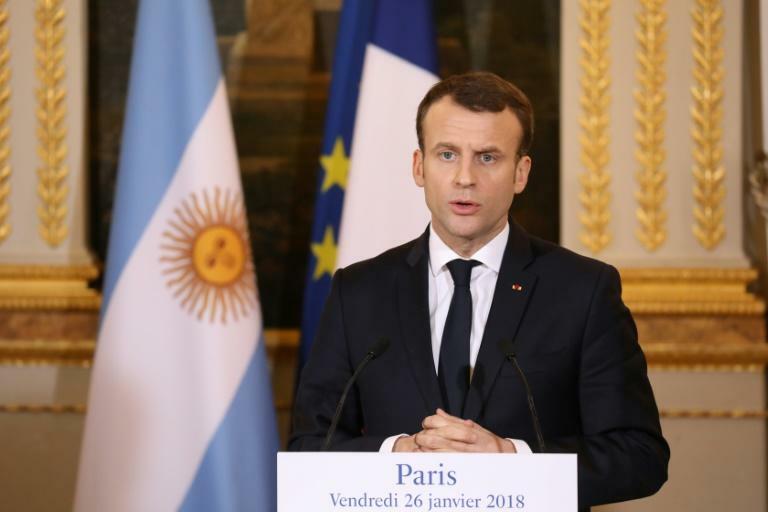 Following a court decision to exclude the Venezuelan opposition from presidential elections in April, Macron on Friday denounced the "unacceptable authoritarian slide" of the oil-rich and once prosperous country. Macron also said that the impact of individual European sanctions against Venezuelans linked to the Maduro regime had been "limited." "It will be at the European level that we will coordinate to see if we want to increase our sanctions. I am in favor," Macron said at a press conference with visiting Argentine President Mauricio Macri. In response, an incensed Caracas accused France of "trying to become a copy of the supremacist government of the United States," which seeks "to cause distress ... and fuel conflict" in Venezuela. The angry reaction from Caracas follows EU sanctions on seven Venezuelan officials for "serious violations of human rights" this week, escalated tensions between Venezuela and the bloc. On Thursday, Venezuela declared Spanish ambassador Jesus Silva "persona non grata," citing Madrid's "continued aggressions" and encouragement of EU sanctions. Spain retaliated by kicking out Venezuela's envoy to Madrid.